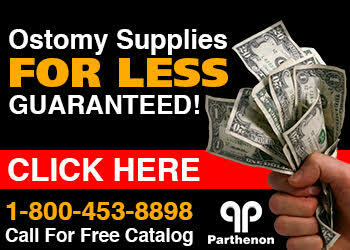 The Parthenon Company Blog - Specialists in Wound and Ostomy Supplies: Did ConvaTec's 22771 Ostomy Pouch Get an Facelift? Did ConvaTec's 22771 Ostomy Pouch Get an Facelift? 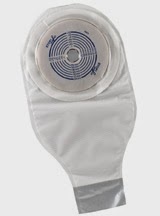 Has the 22771 ActiveLife drainable ostomy pouch been upgraded? This pouch is considered an "entry level" pouch or one that is issued by the hospital right after surgery. There are equivalents made by Coloplast and Hollister. It is amazing how many people start with this pouch and continue to use it years later despite superior pouching options on the market. Nevertheless this pouch by ConvaTec is a constant that allows one to cut-to-fit the opening to accommodate varying stoma size and drainable with clip closure. The features are nothing special but appeal to most users. We wish ConvaTec would make some improvements to this pouch as there are always complaints about the tackiness of the skin barrier part and some people have problems with the straight plastic clip provided. It is likely they will simply replace this one with something from one of their newer lines. Until then you can always buy them at Parthenon at the lowest price. We will beat any price by 5% if it is less than ours. Just tell us where you found it and we will start saving you $$$ NOW!